Following the model of the Travel Channel's Mysteries at the Museum, we have created a presentation to tell the stories of some of the items in our own museum. As we wander around the exhibits, we see interesting items and we want to know what they are, where they came from and what is the story behind them. 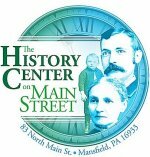 During Mansfield's Heritage Day celebration on September 29, we will be open all day from 9 AM to 4 PM or later if we have late visitors. The Mysteries presentation will be at our 61 N. Main Street museum at 1 PM, just before the 2 PM parade. Every item has a story and a whole cast of characters surrounding it. 1900 Diary of Thomas B. Hulslander of Sullivan Township - Installing phone lines in PA and NY and farming in between. Summer 2018 brought many classes back to town to celebrate the anniversaries of their graduation from Mansfield High School. A visit to the museum was a highlight for many where they reunited with reminders of their past. 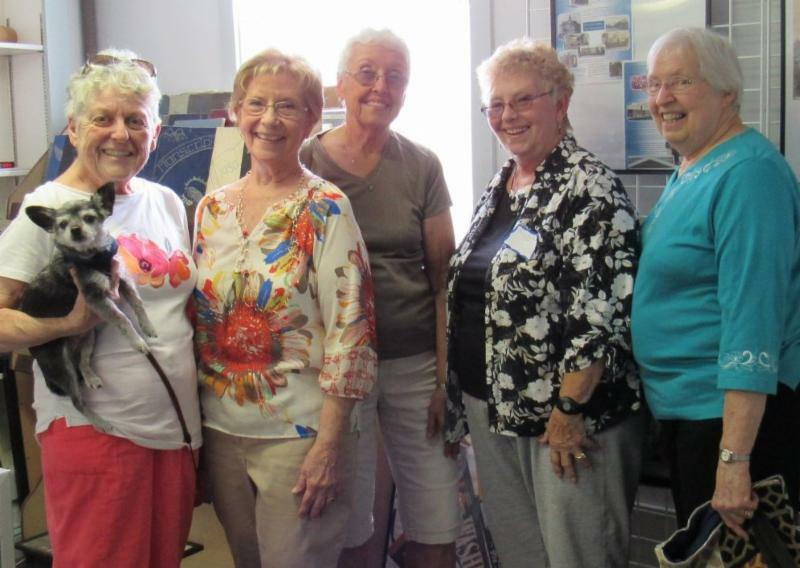 At right the very congenial class of 1958 poses for a group picture. We expect the Class of 78 on September 28/29. The Museum of Us is looking like a brand new building now in spite of its age of 169 years. 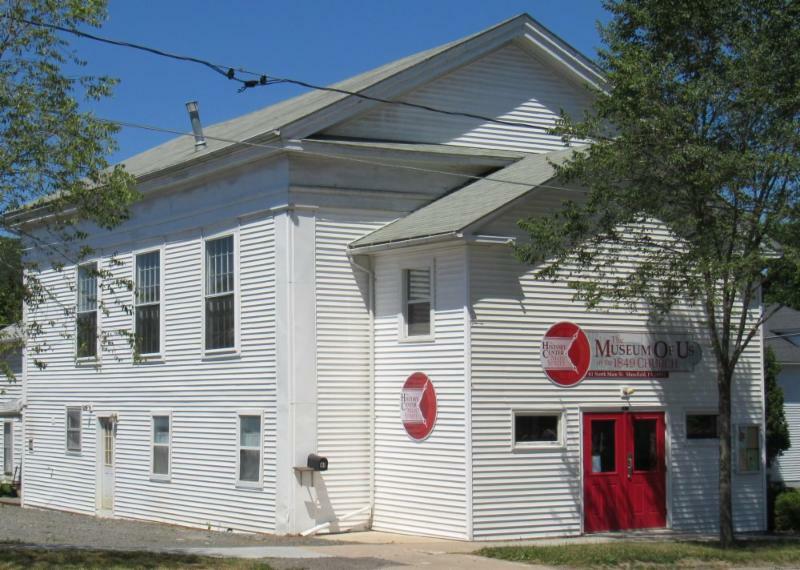 With new doors, new signs, and fresh paint it's a building Mansfield can be proud of. We are grateful to the PA Route 6 Façade Improvement grant and the many donors who chipped in generously to help us meet the matching. Bret York spent the summer scraping and painting between killer heat waves and rain that never seemed to stop. But, it's almost done now and it looks great. We will continue to be open Saturdays through November noon to 4 PM. Be sure to stop in. Many thanks to Ward Manufacturing and CEO Pete Guidi for a generous donation to replace our aging heating system. No more crossing our fingers through every cold snap hoping the furnace holds up and the pipes don't freeze. 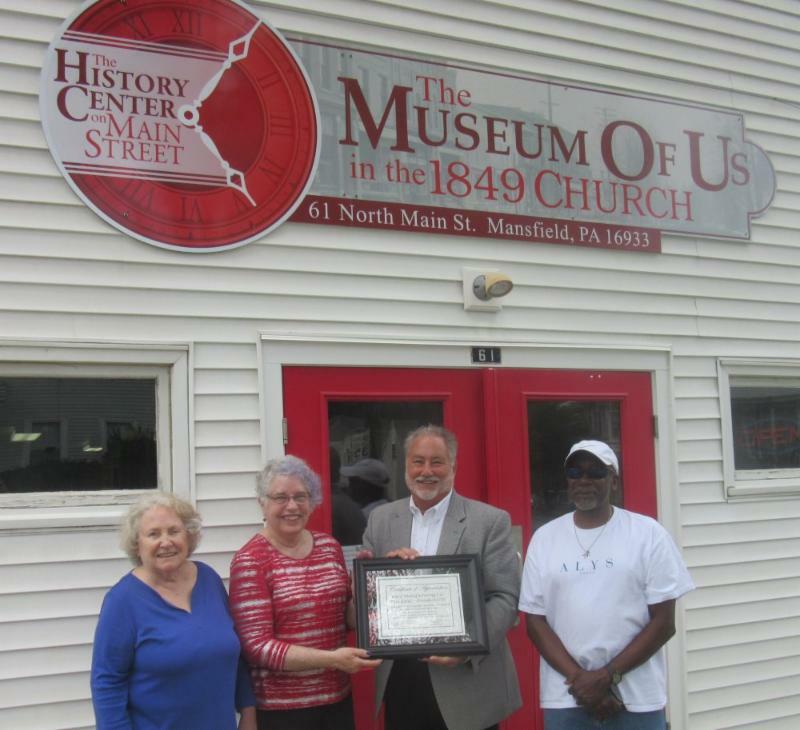 At right Joyce Tice, Kathy McQuaid and Vince Jenkins of the History Center present Pete Guidi with a certificate of appreciation. 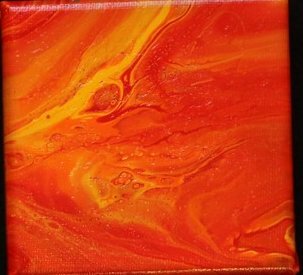 The History Center has some exciting creative workshops coming up that you won't want to miss! Bring your friends, your favorite beverage, enjoy snacks provided by the History Center and have some fun with us! 2019 Membership dues will be coming up soon. We will send out notices, but you can renew or become a new member ahead through the attached page. We rely on our members and donors and are grateful for the support.